This article will be very useful for those, who plan to sell an e-book and want to make money online. I hope, you have read the 6 motivational facts to write e-books. If not, then click here to know, why you should write e-books? In fact, if you do not create a buzz before the launch of your e-book, then your hard work will be wasted in the sea of online information rush. 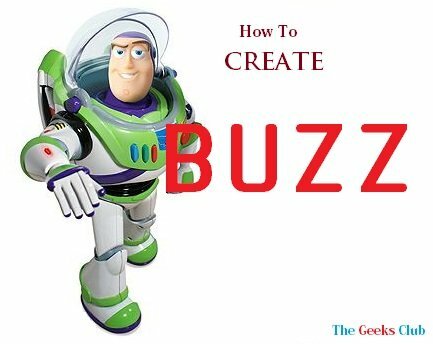 You will find here, how to create buzz before selling your well written e-book. You can use some good smart tactics to create more hype among the internet users. If you execute these tactics effectively, then you will see a huge profit from the first day of sale. Yes, many top internet marketers and bloggers create so much buzz about their products, whether its e-books or any other products and earned millions in their first 24 hours of sale. And this won’t work with all of us, but what is there in trying to create buzz? Do it, you will also become a best marketer. Make a separate webpage for your e-book sales and marketing, which collects user names and email IDs to make a mailing list to subscribe for your newsletters. And send some important buzz about your e-book topics and give them some hints (not the core idea) so that they will wait for your e-book launch. If you are a blogger and you have your own blog, then keep on updating your blog readers about the progress of e-book, so that they will also keep themselves updated for the release of you e-book. In the guest author details of your guest post you write, keep your link to the sales page and if you can, you can target to your blog as well. Write the guest post related to your e-book topic, so that readers will be acknowledged that, you are not a moron in this field. You will have an authority of your own. Contact your related blogger friends and explain about your e-book and convince them to create some hype in their blogs and help you to sell it. If they are the affiliates of your products, then they will be happy to help you out. Create some series of good videos on your sales page and upload it to YouTube and link back to your sales page. It is better to have more than one video in your sales page (separate webpage) and post the videos one after one. Don’t play like children and ask all people to promote, who are not related to your niche. This will make you lose confidence of making some good sales and you will be depressed. Whatever, In some good way, keep people excited, anxious, and in wanting more state to buy your products. I hope you have got the main idea behind these tips. I have written this post because, I will soon be writing my e-book about ranking at the top in Google Search. Do subscribe to The Geeks Club RSS and keep yourself updated.